Description: The village is located just 20km. 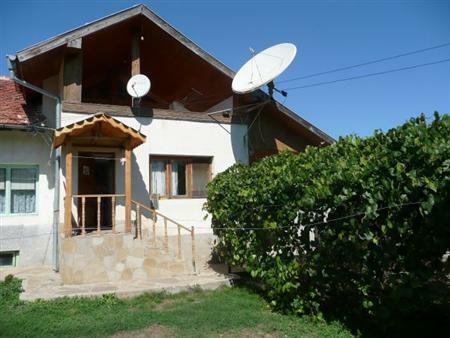 inland from the biggest city on the Black Sea Coast � Varna and Airport. Traditional Bulgarian style architecture, contemporary finishes and modern features, a beautiful landscaped garden with concrete walkways, are just some of the features of this fantastic recently offered tranquil and rural atmosphere of the village, combined with the close distance to the most attractive resorts on the Coast and especially the Albena resort � known with its mineral waters, natural parks and spa complexes, together with the popularity of the area as a hunting place, provide a perfect prerequisite for the development of the property as a preferred venue for rural, eco and hunting tourism. The living space of the house comes at 200sq.m. and is divided between 2 bedrooms, large living room, kitchen and bathroom, tavern on the ground level with fireplace and one open plan room on the attic floor, used as fitness at the moment. the terrace is facing the distant sea. the house has an installed CCTV and satelite TV connection. Furnished Traditional Bulgarian Style House !! !